Among the many things you don't know about me is that I'm an expat Yorkshire lass (also that this morning I sprayed the ends of my hair blue. I'm looking forward to washing the colour out tonight). Anyway, back to houses. I get a bit nostalgic when I come across a proper Yorkshire stone wreck and this is a lovely one. Downstairs are two reception rooms, kitchen, diary and bathroom - all with original floors and other features. Upstairs are three bedrooms, one accessed through the others, and with original fireplaces. 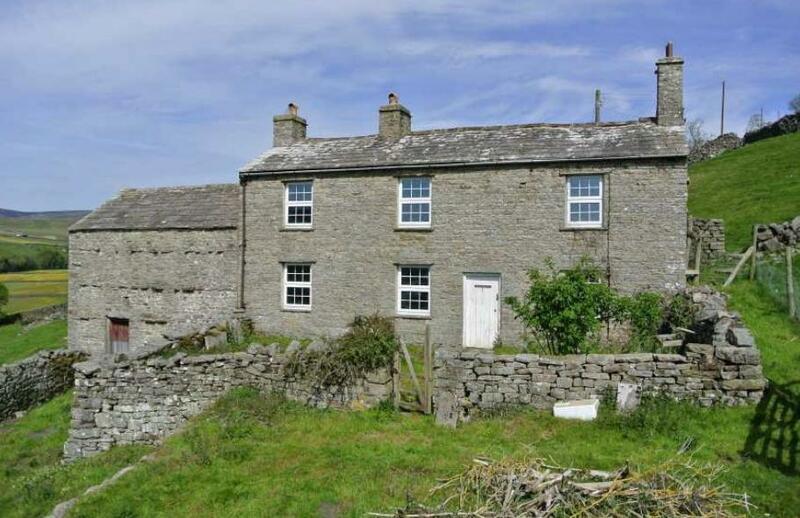 Attached to the cottage is stone barn and outside is a garden area - though it's not clear how big a garden. The house has electricity connected, septic tank drainage, and spring-fed water. It's pretty remote and access is via a right of way over neighbouring land and a track that will need a 4x4. You'll want to have a conversation with the land owner about getting trucks up there when you start the renovation work. 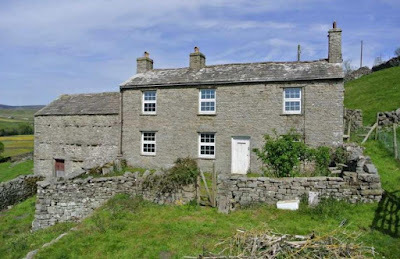 The house needs a fair bit of work but the shape and original features make this a really attractive prospect - and the views are just stunning. On the market through GSC Grays with a guide price of £200k. Details here and on Rightmove here. Downloadable PDF here.